Chemical Constituents and Components : Main components are 50% fulvic acid, uronic acid, phenolic glucosides, benzopyronens, hippuric acid, biphenyl metabolites, amino acids, phenols and 85 minerals. 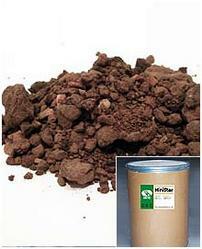 Fulvic acid : 1. It regulates and controls blood sugar levels and shows hypoglycemic action. 2. It increases the permeability of cell membranes. 3. It accelerates processes of protein and nucleic acid metabolism. 4. It acts as free radical scavenger and reverse damage done by toxic substances. 5. It helps to transport nutrients deep into tissue. 6. It restores electrochemical balance and supports immune system. 7. It promotes movement of minerals, especially calcium, phosphorus and magnesium into muscle tissue and bones. Benzopyron : 1. It inhibits the growth of the brain tumour cells. 2. It inhibits the growth of gram-positive bacteria. Curing Diseases : 1. It cures obesity by burning excess body fat and balances the body metabolism. 2. It is helpful in curing type II diabetes by regulating blood sugar level. 3. It is helpful in arthritis, rheumatism and in joint pains. 4. It is helpful in genito-urinary diseases. 5. It acts as internal antiseptic, stimulant and used as aphrodisiac. Possible Combinations : Shilajit + glibenclamide (very effective in decreasing blood glucose level).